The SMARTER website contains lots of facts and data. 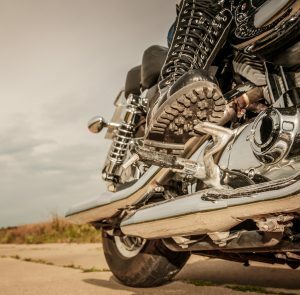 In this section we share “Survivor Stories.” For the most part, that means stories from riders who have crashed and report on the effectiveness of their riding gear, including their helmets. Most people are much more engaged when they hear or read a narrative about events. A story makes connections between cause and effect. We remember stories because that is exactly how our brain works. Lifesaver: A year after motorcycle crash, Jim Lumley still thanks his helmet: A Northern Express Apr. 29, 2013, article wherein Jim explains he is glad he was wearing his helmet at the time he was involved in a low-speed crash even though the law in Michigan had changed the year before to make wearing a helmet optional. The low-speed crash turned out to be high-stakes for Lumley, who suffered a serious injury to his knee. He also believes he owes his life to the helmet that cracked when it hit the windshield. It was a high-end, $350 helmet, with an air cushion that inflated to further protect his head. The helmet was destroyed in the crash. “Literally, I could have legally been riding without a helmet, but I chose to wear a helmet,” he said. 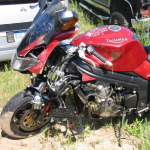 Jimmy Hunter Is Glad He Wore a Quality Motorcycle Helmet: A Muskegon Chronicle article describes Jimmy’s recovery following his motorcycle crash. Jason McVicar Tells about Surviving His Motorcycle Crash: A video report of McVicar’s experiences at the Bonneville Salt Flats and how he crashed at over 200 MPH and survived, which he attributes to his motorcycle helmet.